Home > Technical Information > What is Brazing? 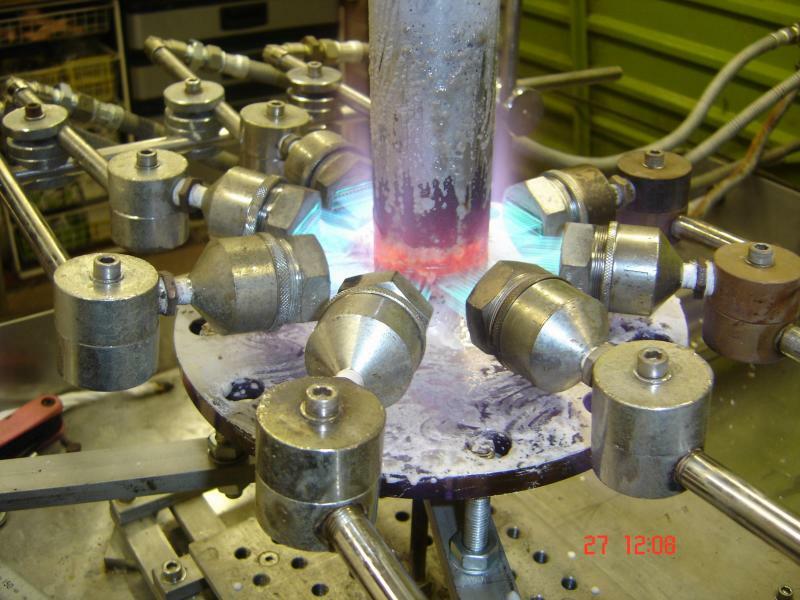 Knowledge of the ancient art of brazing is continuously being supplemented by an ever increasing amount of technical information about metals and their behavior, so that today brazing must be considered both an art and science. 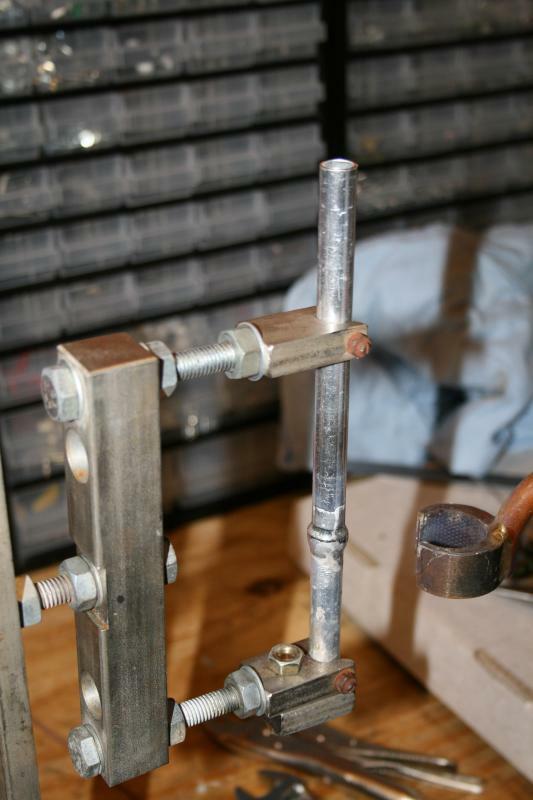 This edition of the Brazing Handbook (formerly the Brazing Manual) includes the fundamental concepts of brazing and incorporates the many advances made since the manual was first published. The American Welding Society defines brazing as "a group of welding processes that produce coalescence of materials by heating them to the brazing temperature in the presence of a filler metal having liquids above 840oF (450oC) and below the solidus of the base metal. The filler metal is distributed between the closely fiyyed faying surfaces of the joint by capillary action". The filler metal must wet the case metal surfaces and be drawn into or held in the joint by capillary action. 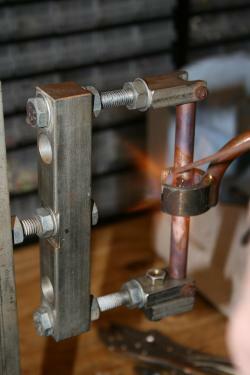 Manually flame brazed Al/Al with Al/Si filler and special curved burner. 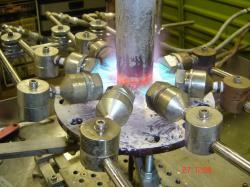 Machine Flame Brazing of steel component as part of a customers evaluation project.